The Snapshot Report shows the colorful status of Mom’s top care goals. Her care goals could include: eating better, sleeping more, and taking medicine on time. 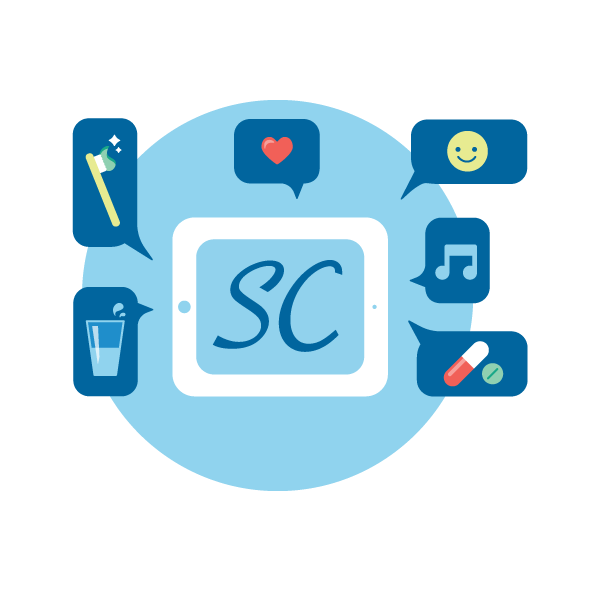 The color of her care goal status relates to how well she’s doing. A green icon means she’s doing great. A red icon means there is a problem to address. 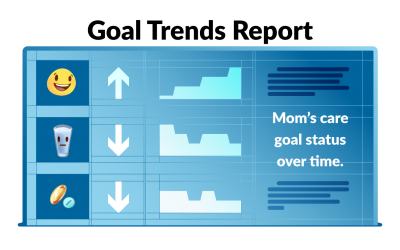 The Care Goal Status lets you know how well your Mom is doing and what goals need attention. The Snapshot report includes a visitor log from the past two weeks. The Visitor Log records the date, time, and name of the visitors who have filled out an assessment. Those assessments include: Family Connect Visit Assessment, Companion Assessment, or Clinician Check-in. Know exactly who visited mom and the date and time they visited. Stay informed of your mother’s care. 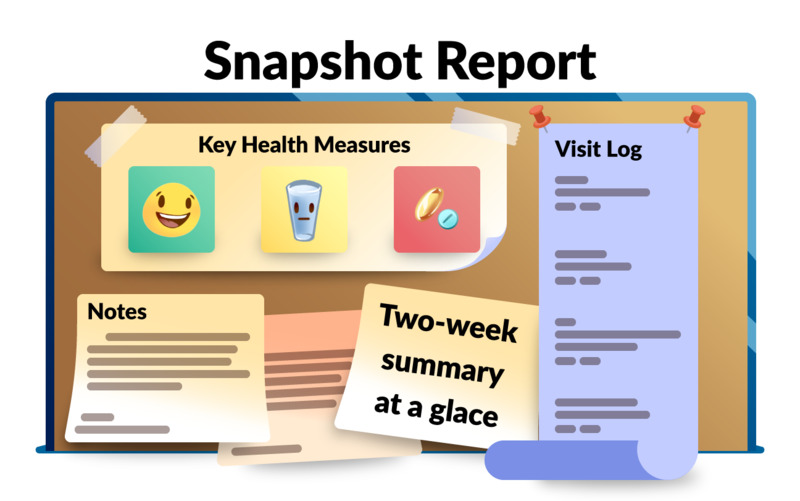 The Snapshot Report is a place to find notes and notifications regarding Mom’s healthcare. 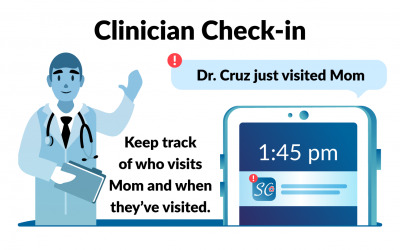 The snapshot will show a list of notes that any family member, nurse, or clinician records about Mom. 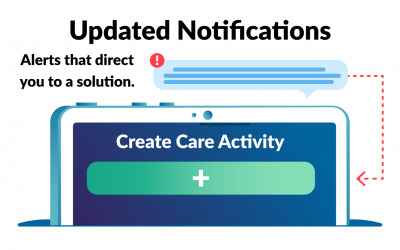 This helps to keep everyone up-to-date and informed about Mom’s health, events, and needs.